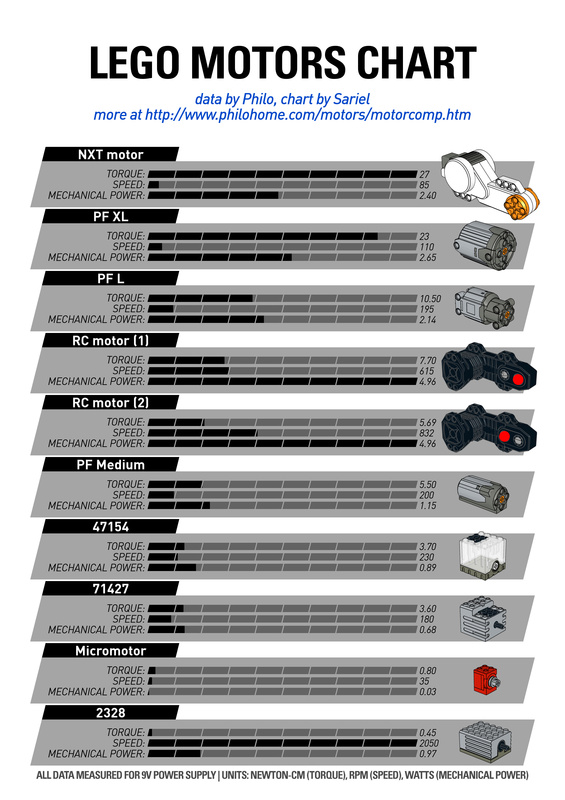 As you’re probably well aware, the RC motors are unique for having two outputs, with the inner output (the one closer to the middle) having roughly 35% more speed and less torque than the outer one. Usually when using an RC motor, one has to choose one output that seems better suited for the job. With this simple mechanism, it is possible to switch between one output and another, and since the outputs have different characteristics, it can effectively work as a gearbox. Please note that I can’t claim the authorship of the very idea, which has been around for years. I know that such a mechanism was invented long ago, but I was unable to find the original author nor any documentation, not even a single picture. I have therefore created this mechanism the way I would build it, which is probably very close or even identical to the original concept, as this mechanism is so simple that it’s difficult to build it in an entirely different way. Also note that even though I used two RC motors in the instruction, the mechanism can be used just as well with a single motor. It’s just that I and many other builders tend to use the RC motors in tandems. Additionally, two 6-studs long axles has been used as the output of the entire mechanism here, but you can obviously change it as you see fit. Finally, you can notice that the instruction, despite its general simplicity, has been created with the wonderful Lpub software by Kevin Clague. 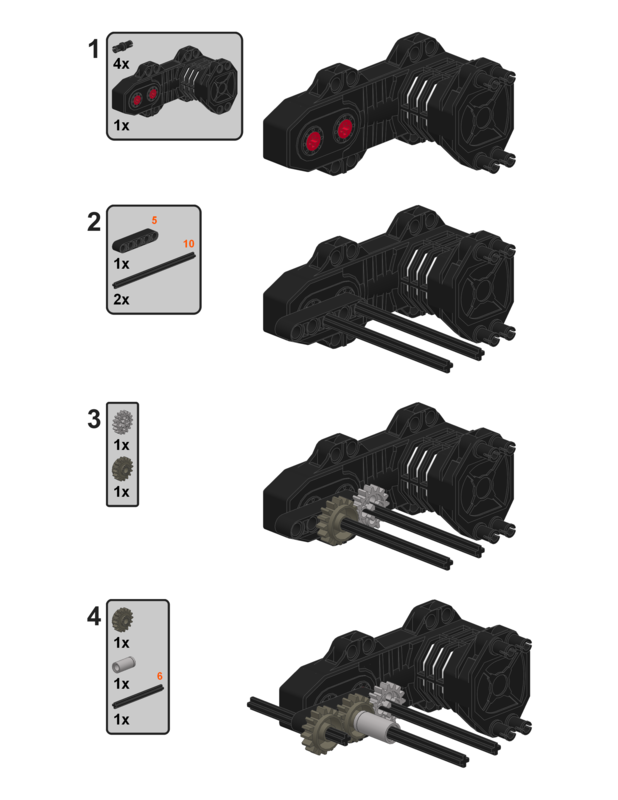 Thanks to the use of it, the instruction is very similar to the instructions from the official Lego sets, with a parts list for each individual step and with lengths of the axles and beams clearly specified. This is the standard for all my instructions I intend to provide from now on. but using only two buggy-motors. I mean without stopping the car and then shift but shift during driving especially if the model is not geared down further after the gearbox? I am intending to use similar 2.4Ghz system as z3_2drive and would like to use a servo for shifting on the third channel of my transmitter. 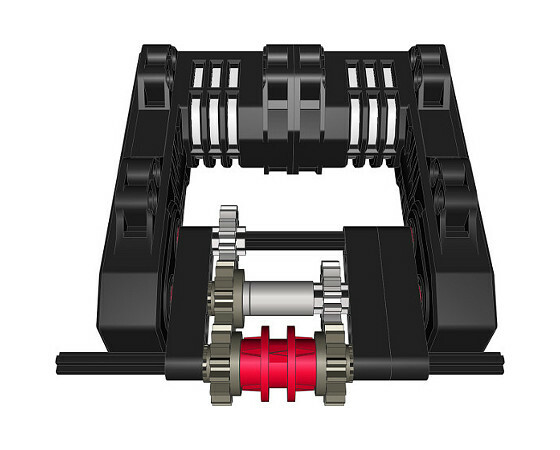 Of course 4 x buggy motors would provide enough torque and using the speed control of the 2.4Ghz system would eliminate the need for a gearbox but I find it interesting to try to achieve similar result as z3_2drive with only two motors and a gearbox. He will probably reply to my question soon on his topic on Eurobricks but I also decided to ask you directly. So question is can this type of gearbox be used on fast vehicles without stop -> shift -> start again but during driving on “high” speed. No, that’s not a transfer case. As a matter of fact, it’s a very good question. 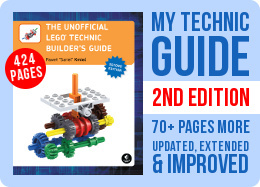 Two identical Lego motors should run at very similar speeds. So, there is some difference and thus there is some stress exerted, but in most cases this stress should be marginal and thus acceptable. Isolating motors would require using an adder mechanism, which increases the level of complexity – a small difference is simply not worth it. I’m not 100% I understand the pros and cons of connecting two motors together without a differential or something else that isolates them from each other. 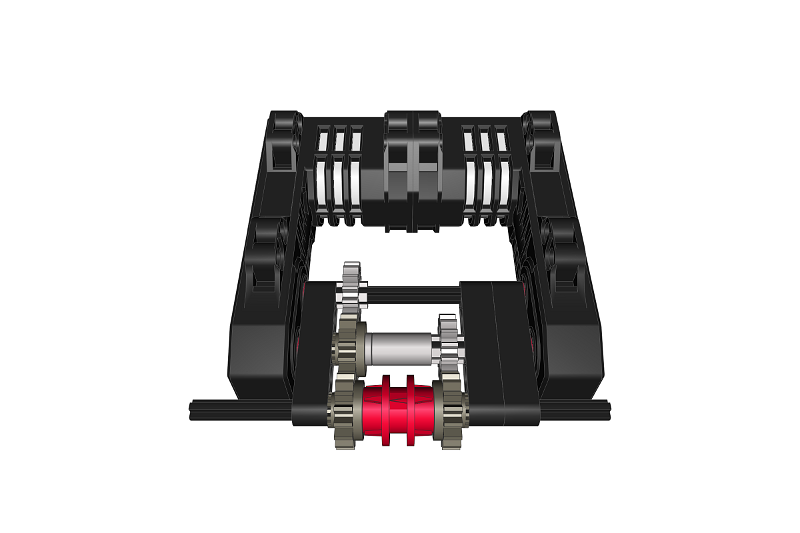 All of my LEGO motors run at different speeds (mostly slight, some more pronounced) – so wouldn’t this difference cause stress to the motors? This question certainly exposes my ignorance, but hopefully I’m not the only one who will benefit from this answer! I think he means use both next to each other, not one or the other. No but with an xl motor on one side and a m motor on the other side could the same principle occur? 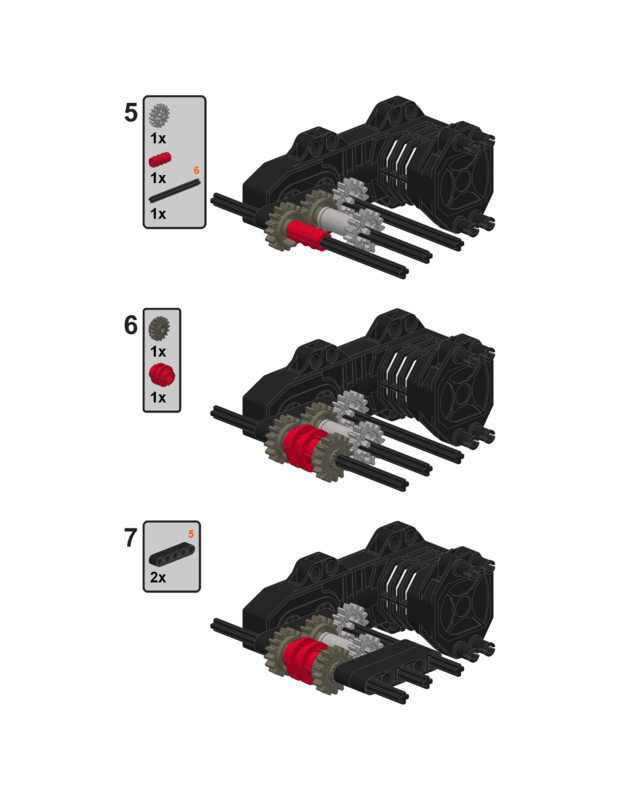 Does XL or M motor have multiple outputs? Would it be possible to make a similar system but with an xl and a m motor? There is a very similar thing on TT’s brickshelfs page. Sweet idea. i have 2 rc motors, now i have something that can make me a really fast car! thanks for the idea and instructions! It’s not 300 DPI, it’s 600 DPI, and I did that on purpose so that it would have a good quality when printed. Good idea ! you should reduce the dpi of your pdf in Lpub, from 300 to 150. It creates a 1500px width, that is enough. Then you adjust the size of lpub to show all the model. You can go to my website to see the tutorial, especialy the advanced line of code. Very nice instructions! 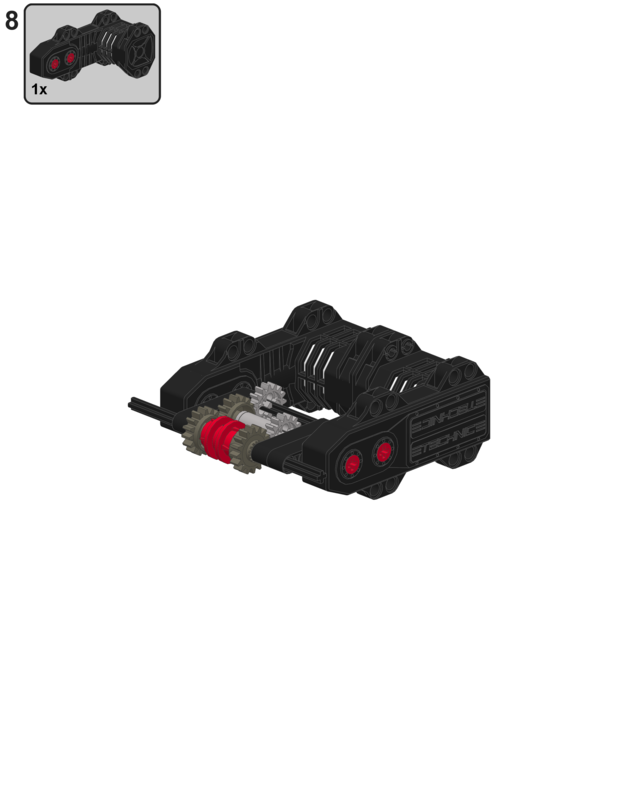 I would imagine that you will be using this in your next-generation Lego RC boat. Those grebes will be getting out of the way quick once they see these motors in action!